Hari ini sudah masuk hari ke 4 sudah kita berpuasa. Masa terlalu pantas berlari. Rasanya baru semalam kita mula berpuasa.. Cuma di sini saya nak ingatkan agar berhati-hati bila membeli telur di pasar kerana sudah ada yang mencipta telur sendiri semata-mata ingin mengaut keuntungan tanpa menghiraukan kehidupan dan kesihatan orang lain. Baca sampai habis artikel ini. 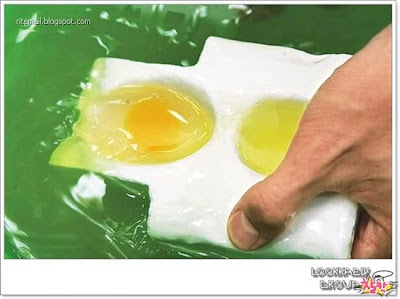 In China there are fake schools and classes that teach a variety of blatant fraud technology, even eggs can be modulated by chemical materials, but also be able to fry cook, is currently the most popular False course. 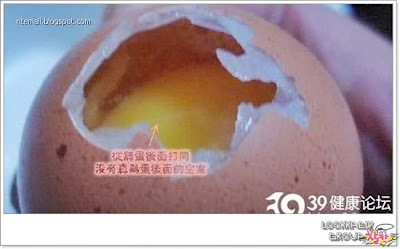 Fake egg was made from calcium carbonate, starch, resin, gelatin, alum and other chemical products. The 'yolk' is shaped in the round mould. 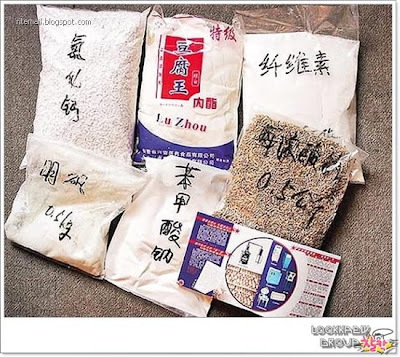 'Magic water' containing calcium chloride is used. 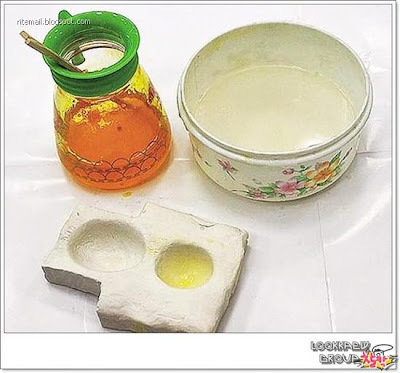 By adding a yellow pigment and become raw egg yolk. egg white into another, into the magic water, a shell eggs will come slowly. 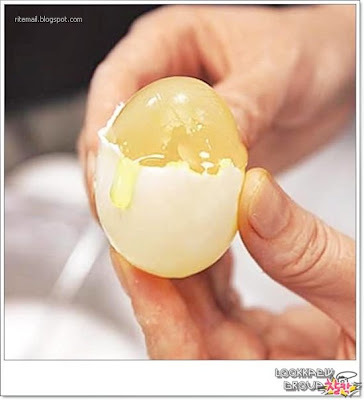 Naked egg shape to 1 hour to dry after washing with water, at shells ready. 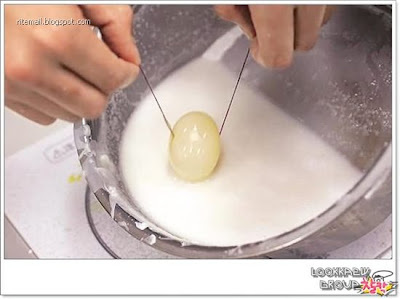 Sewing lines through the use of eggs, immersed in paraffin wax, calcium carbonate, such as modulation of the eggshell into a solution, repeated several times until the shell a little dry, immersion in cold water pumping line shape, this point, the egg has been put on a false cloak , You're done. which are then left to dry. 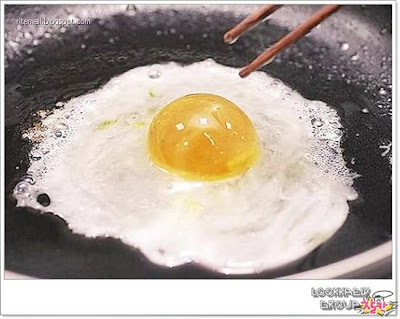 Many small bubbles is formed during frying the egg but not many people can tell the difference.The egg look exactly the same, and the eggs taste better than real but you are adding to the statistic of food poisoning person. 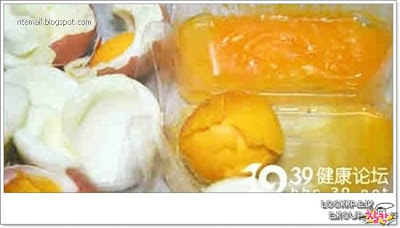 Why make fake eggs ? 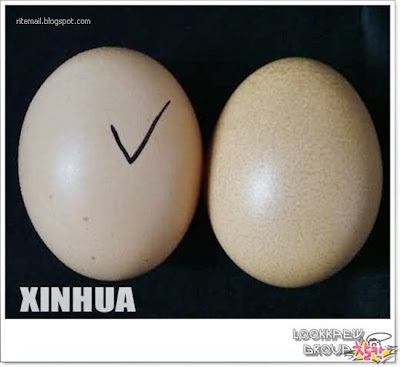 The cost of fake egg is only 0.55 Yuan/kg, while the true eggs market price is 5.6 Yuan/kg.